Depressed Testosterone Levels! How to Get More T! I found your website after searching for correcting a cholesterol issues, I have the dreaded genetic "X" issue. 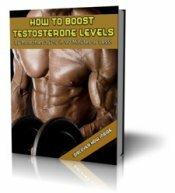 Anyway I read your theories and ideas on raising testosterone levels and decided to give it a try. My family doctor ran test for my T-level and it was at 350, WAY too low for me! I'm constantly tired and have minimal physical activities, right now I cant even hit the gym 3 days a week like I used to couple of years ago. I'm 48, about 180 lbs. and in okay shape BUT I feel I'm loosing a battle within myself. My goal is getting my T-levels back up around 475-500 for starters. I purchased several items and would like your recommendation(s) on a possible routine to use with these items. I'm not after being a sexual monster again (ha) I'm looking for that physical and mental Alpha-attitude I used to have! My spouse has taken on a severe illness and my family needs the old me back, the one that would stand and spit into this world eye on the toughest of days and say "is that all you got"!!!! Any advice would be a huge help and thanks so much for putting your ideas, experience and thoughts onto this website. How to Get More T! I know how it feels to lose your swagger, your confidence, and your energy. In essence, all the stuff that made you feel good as a man takes a hike when T levels tank. 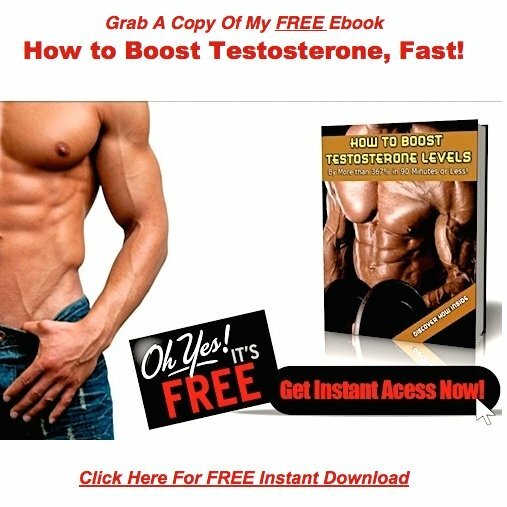 You goal of a total testosterone level of 500 is very realistic, and you should have no problems reaching that number. Just make sure that you keep pushing once you've arrived, because 500 is good but 6 or 700 is even better. I've written extensively about cycling supplements, so I won't go over it again here. Follow the link below for specific recommendations. My advice to you now is, don't rely on the supplements alone. Incorporate lifestyle changes into your weekly routine, and you'll blow by that 500 number with ease.